Sleeping on rocks can take some of the romance out of a couples' getaway. 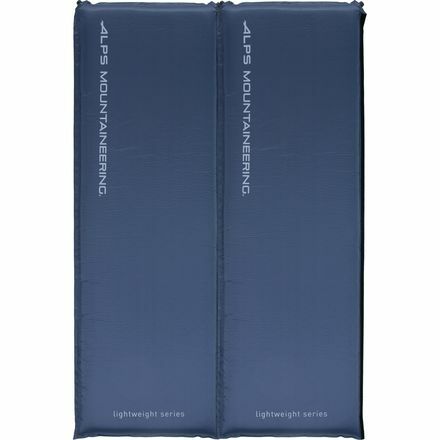 Keep your relationship healthy with the Alps Mountaineering Lightweight Series Double Air Pad. Lightweight, durable and extremely warm, the NeoAir All Season mattress is the ultimate solution to year-round backcountry comfort. For decades people have relied on the original RidgeRest mattress to provide the lightest comfort possible, or to boost the warmth and durability of a three-season mattress for winter use. The Trail Scout is an ideal value for first-time campers and those looking to upgrade from closed cell foam pads. The Trail Lite mattress offers an outstanding combination of comfort and compactness, making it one of the best all-around camping mattresses available.